Lewes has a number of great dining options. My top recommendations are based on my own research as well as the suggestions of longtime friends who spend their summers there. 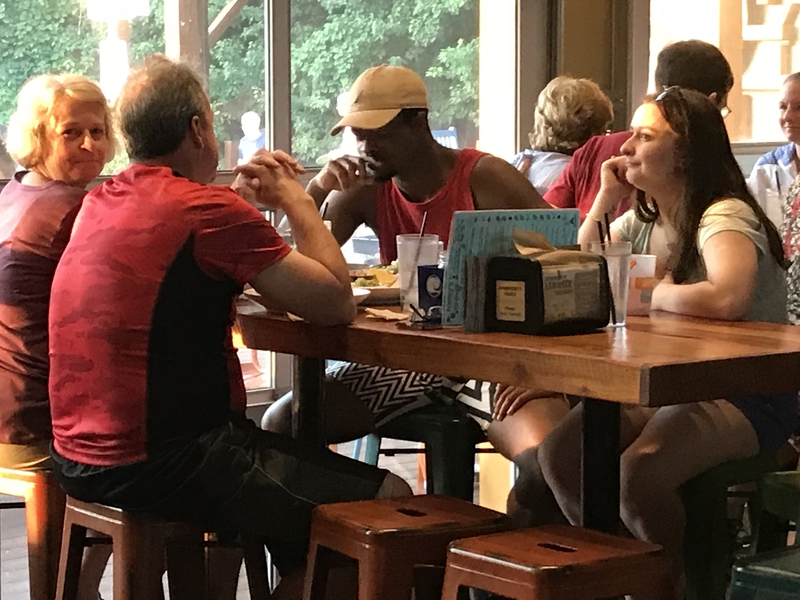 Agave Mexican Restaurant and Tequila Bar: With an emphasis on local seafood and ingredients, they feature a large menu of soups, salads, and sides along with entrees ranging from enchiladas, fish tacos, burritos, tamales, fajitas and quesadillas. They have a large tequila selection to try. 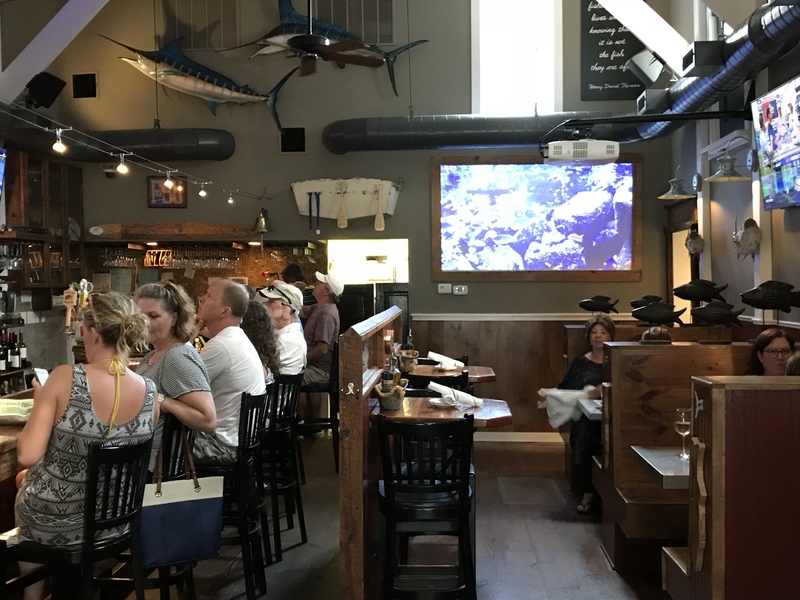 137 Second St.
Striper Bites: I enjoyed this casual bar/restaurant, with its nautical theme, for lunch on my last day in town. I was immediately drawn to the Maine lobster roll which was excellent. 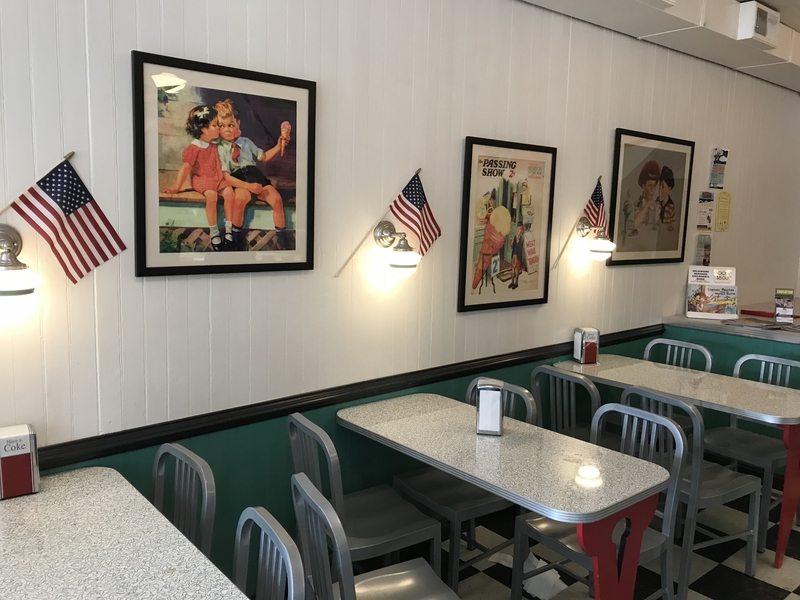 They have a large menu of appetizers, salads, burgers and sandwiches plus tacos, crab cakes and more. 107 Savannah Rd. 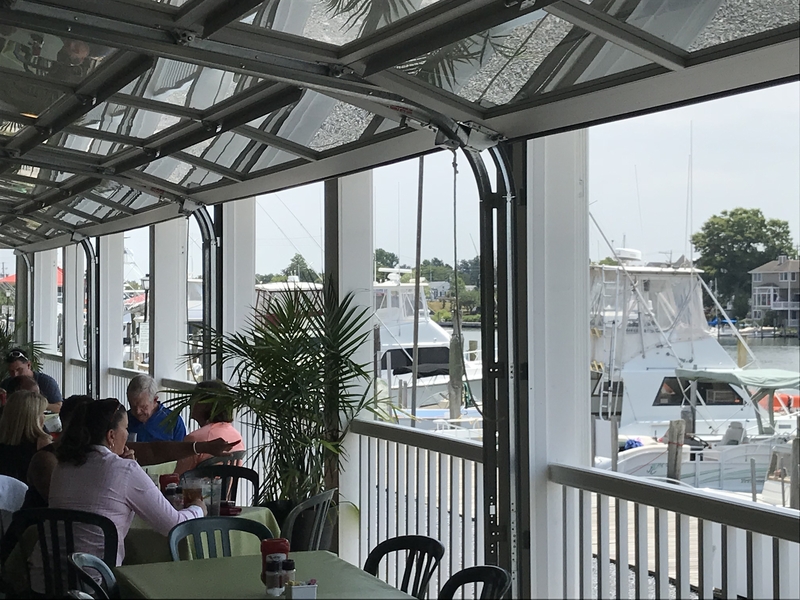 Irish Eyes Pub & Restaurant: This is a fun spot along the water with indoor and outside dining. I went for lunch on the way into town after leaving the ferry and loved the drunken mussels and a cup of the cream of crab soup! I highly recommend the experience. 213 Anglers Rd. 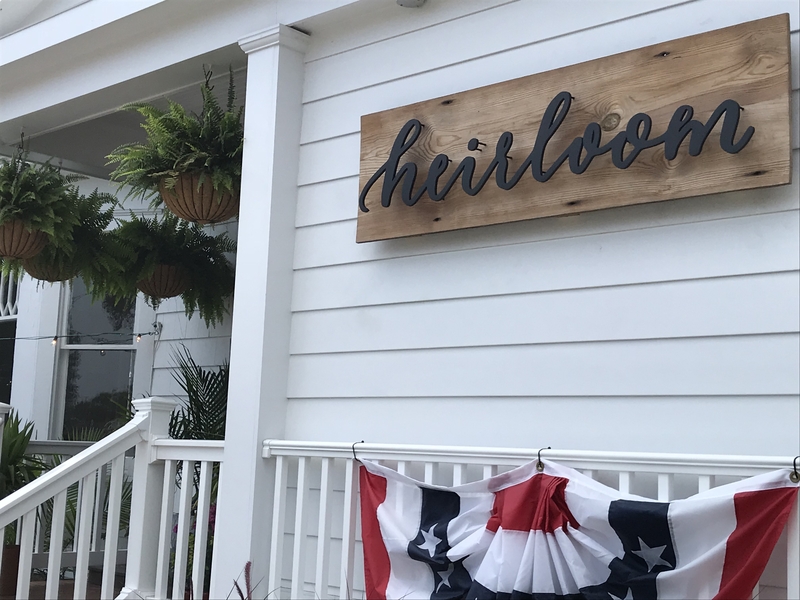 Heirloom: Longtime local friends highly recommend this fine dining restaurant located downtown in a white Victorian house. 212 Savannah Rd. The Buttery Restaurant & Lounge: Open for lunch, dinner and Sunday brunch, this restaurant in a restored Victorian mansion, has been located at 102 2nd St. for over 30 years. 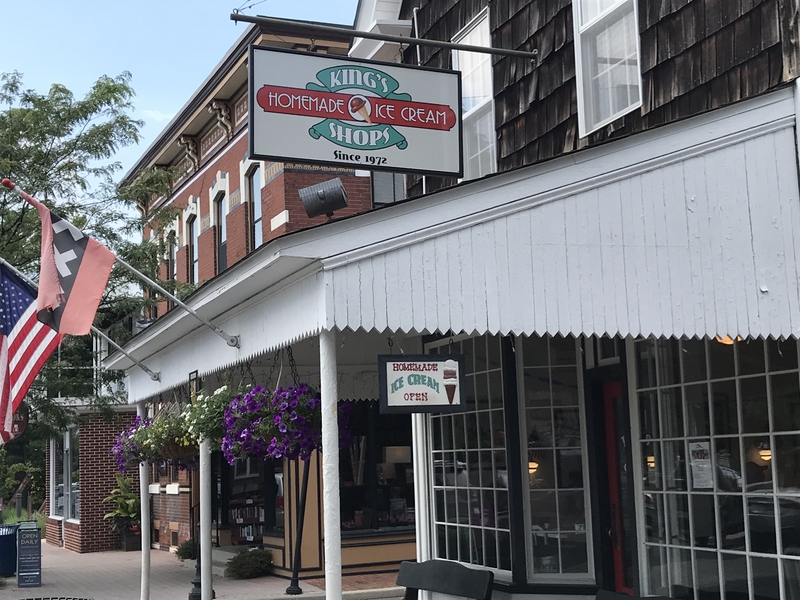 King’s Homemade Ice Cream: Since 1981 in Lewes, they feature great ice cream in a number of flavors to choose from. 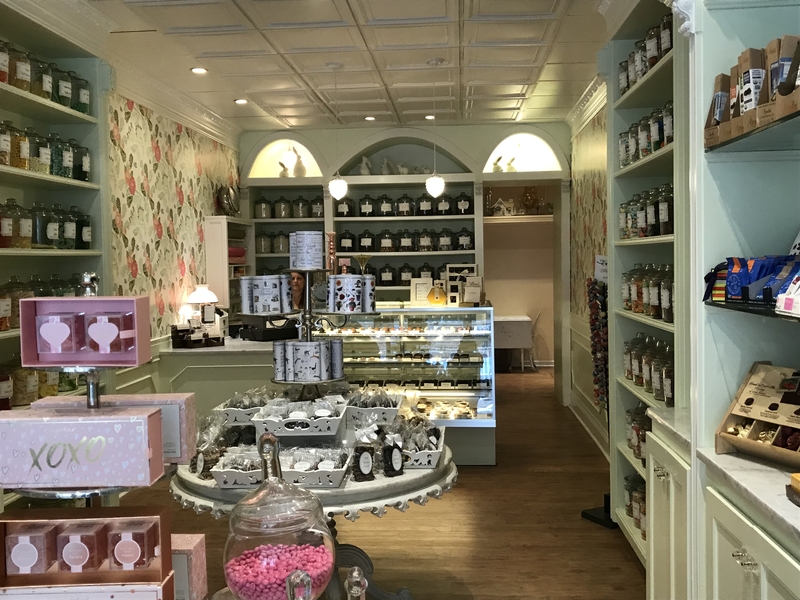 201 2nd St.
Edie Bees: This is a classic, elegant candy shop with everything for your sweet tooth!! 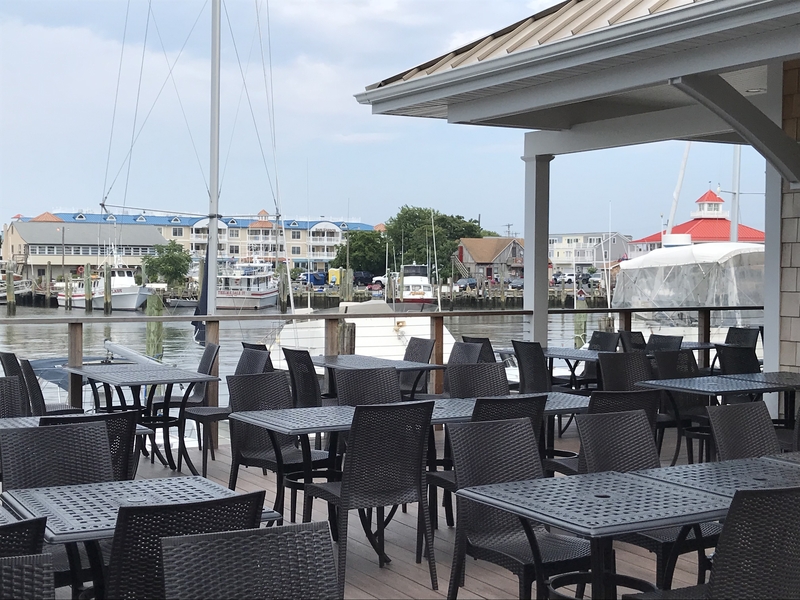 115 2nd St.
Gilligan’s Waterfront Restaurant: This is a fine dining restaurant with great views of the canal. It is next to the Inn at Canal Square. 134 W. Market St.
Lewes Gifts: This is a good spot for cards, home accessories and gift items. 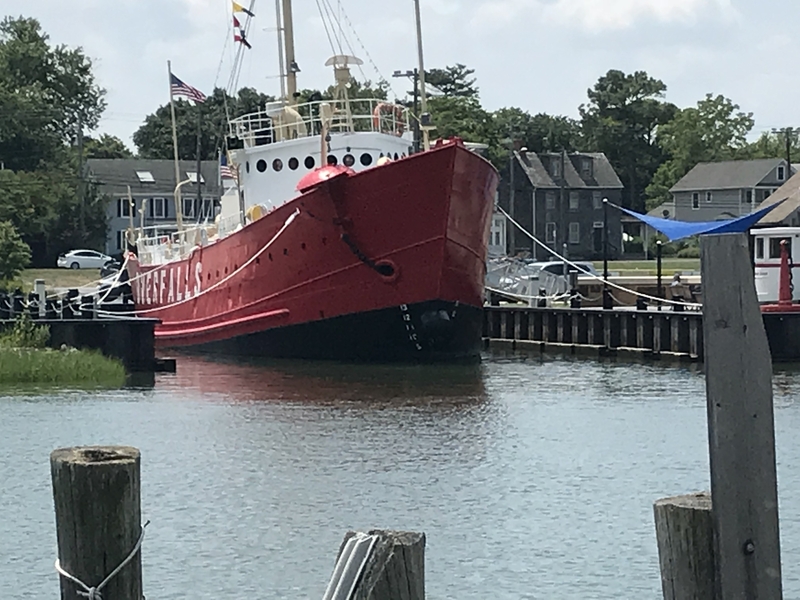 They have a good selection of nautical gifts and decor as well. 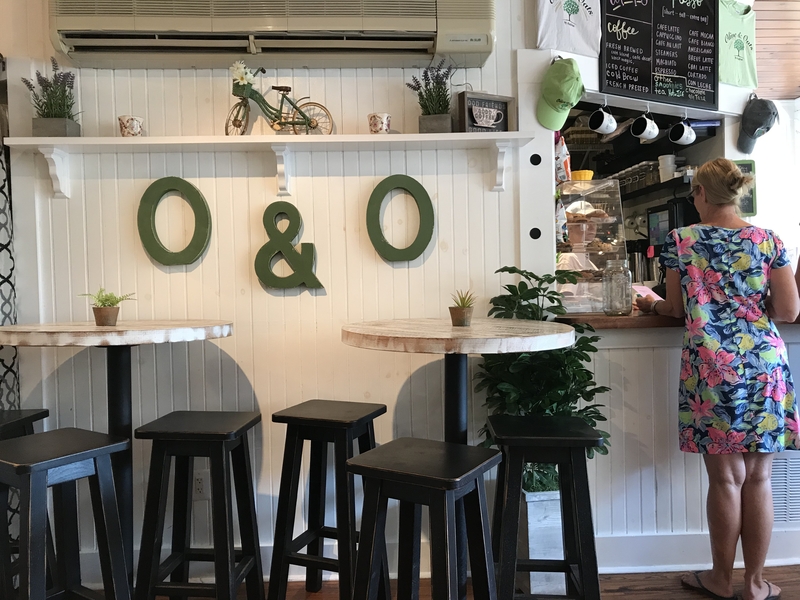 118 2nd St.
Olive & Oats: Owned by Azafran restaurant in Rehoboth, this is a small cafe featuring coffee, pastries and cookies. For breakfast there are frittatas, sandwiches, oatmeal, granola and yogurt and for lunch you can find soups, salads and sandwiches. It has a charming, casual atmosphere. 113 Market St. 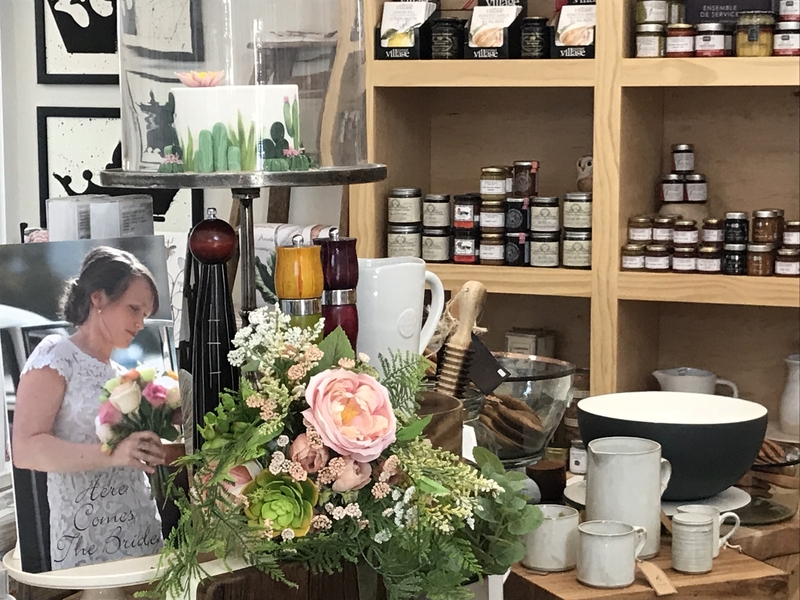 The Station on Kings – Cafe & Market: At 720 Kings Highway just outside of town, this is a home and garden store, that also has a casual bakery, cafe and coffee bar. I really loved the concept and the great design. 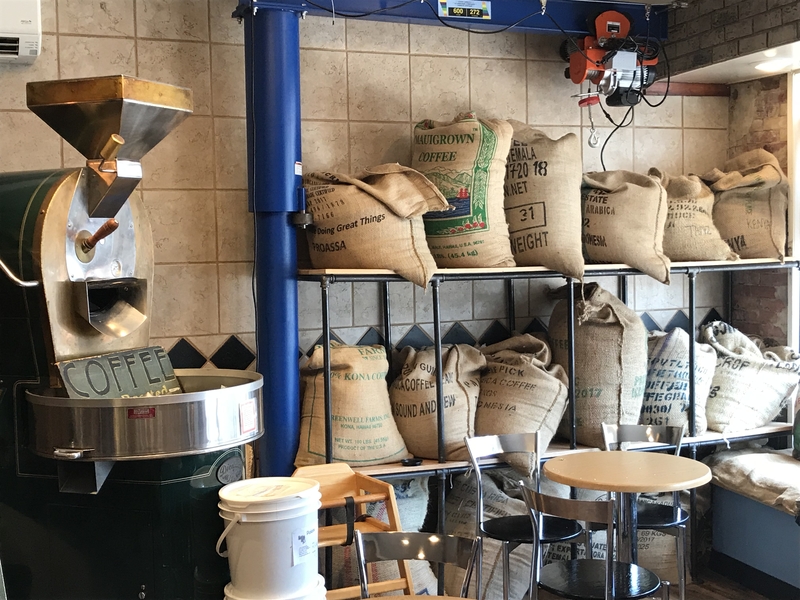 Notting Hill: This is a local coffee roaster with a casual cafe at 124 2nd St. 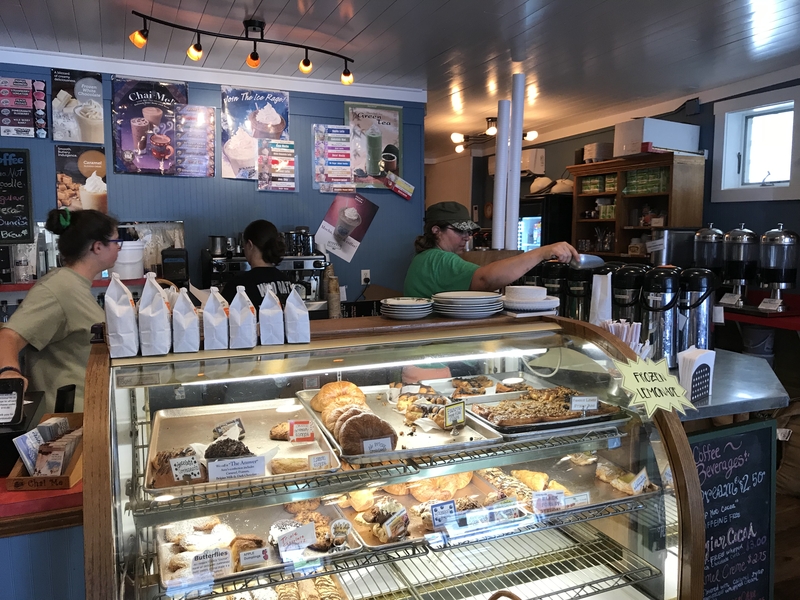 They roast their coffee in-house and also feature breakfast items, pastries, soups, salads and sandwiches. Crooked Hammock Brewery: This large facility is located at 36707 Crooked Hammock Way just outside of Lewes. 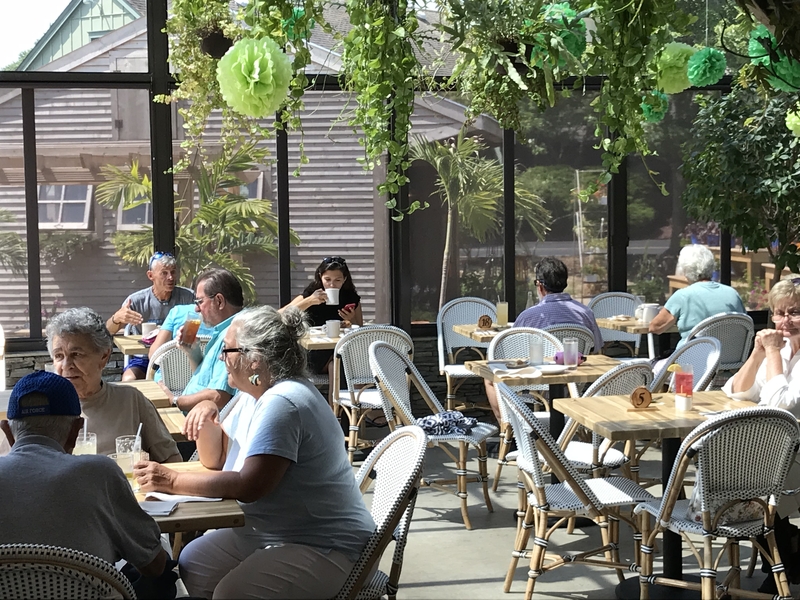 It is a large microbrewery and restaurant with many brews to taste from ales and IPAs to seasonal offerings like their pumpkin/yam beer. 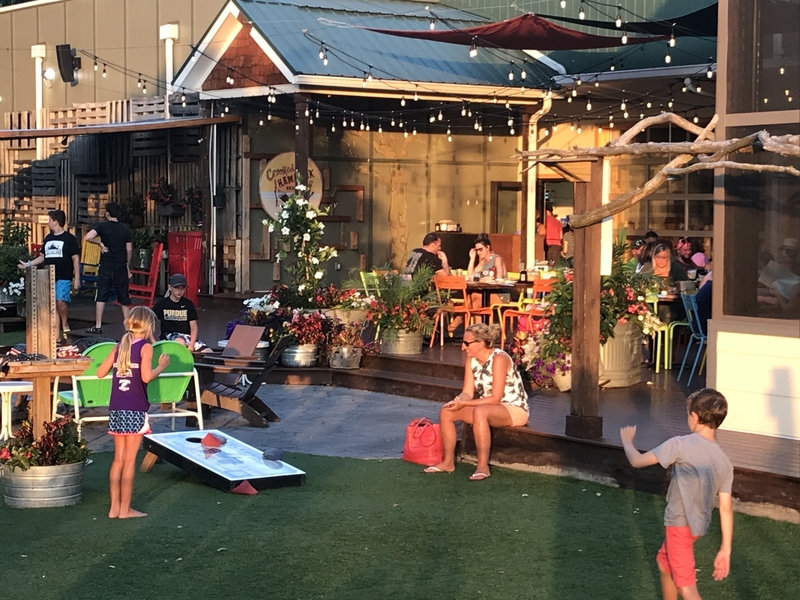 There is a colorful Backyard Beer Garden with games and outdoor seating. When I was there in July, there were many families enjoying the fun. They also have live music throughout the year. 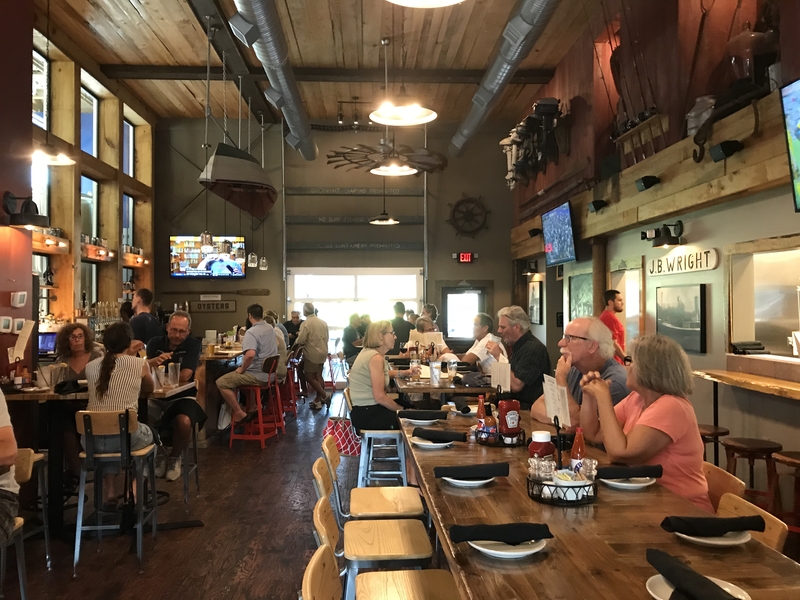 Also near Lewes is Big Oyster Brewery at 1007 Kings Hwy. They are open for lunch and dinner and feature 16 beers on tap. Other places that get good reviews include Beach Time Distilling for gin, vodka and rum. 32191 Nassau R. #5. 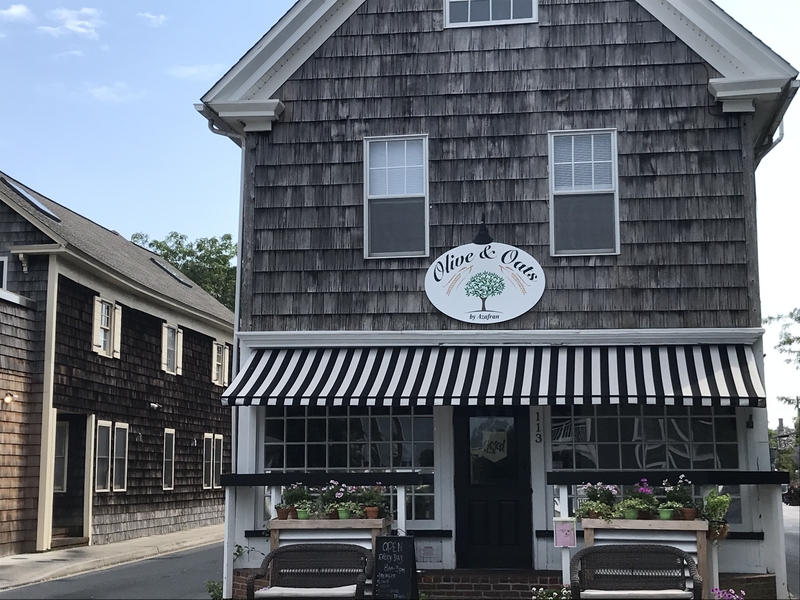 The award winning, Nassau Valley Vineyards is located 32165 Winery Way west of town.They make a number of sweet and dry, red and white wines. 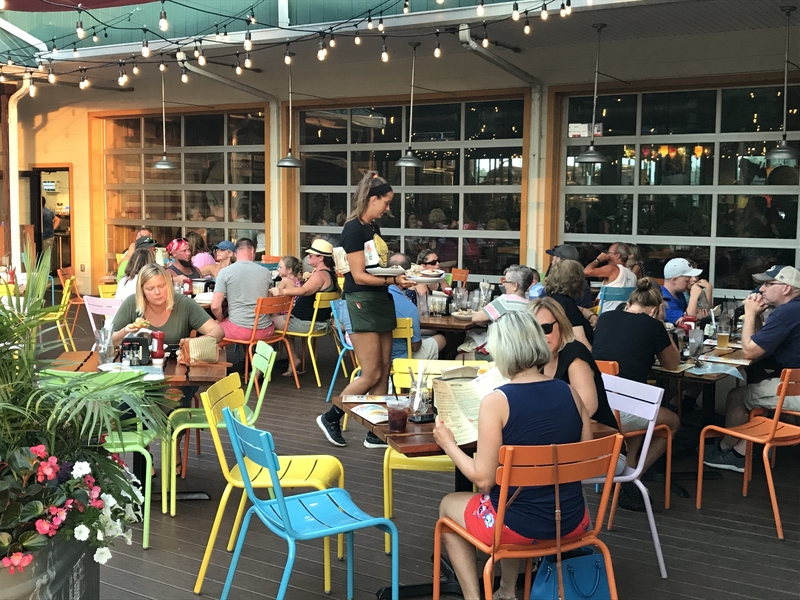 Beer lovers will also enjoy visiting Dogfish Head Brewery, located in Milton, DE or their brewpub in Rehoboth Beach, Chesapeake & Maine. They even have their Dogfish Inn in downtown Lewes, a small, cozy inn with 16 restored rooms along the canal.